I got this piece at an estate sale on Saturday, huge fossil, 7.8 inch/15.7 inch (20 cm x 40 cm), I'm not sure the provenience. Any help will be much appreciated! Thank you. 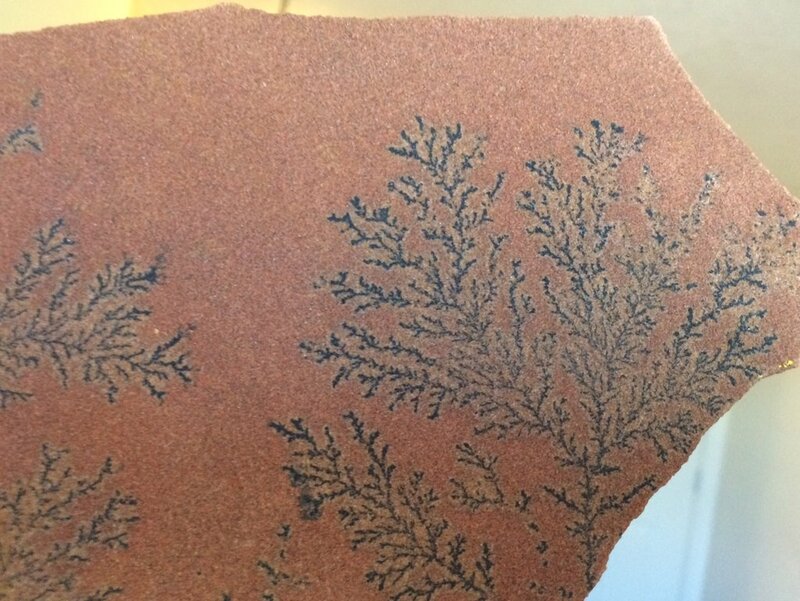 Dendritic growth is a very common phenomenon in nature. We are all familiar with the way how trees grow by spreading branches and roots from the main trunk (that’s why we call this mode of growth “dendritic”). The term “dendrite” itself is used to describe branched projections of neurons. Thank you, both for the answer! My resource was this site: http://www.fossilmuseum.net/Fossil_Sites/mcabee/Camaecyparis/Camaecyparis.htm, but I may be wrong. So, how old this Dendritic growth can be? 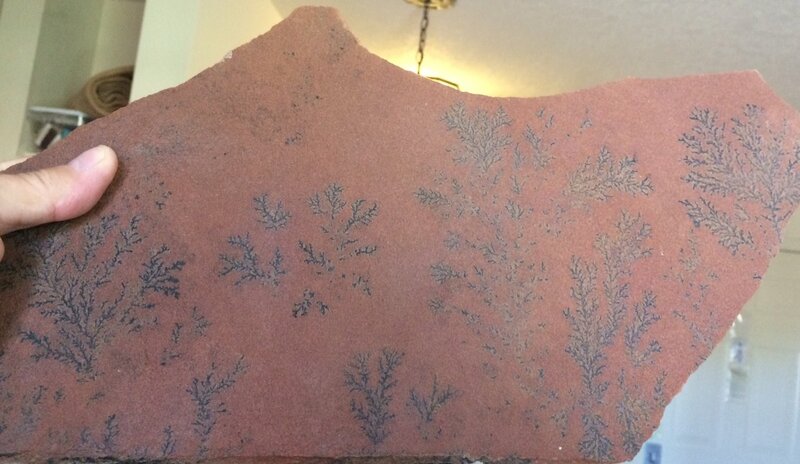 Dendrites are mineral crystalline growth usually manganese. 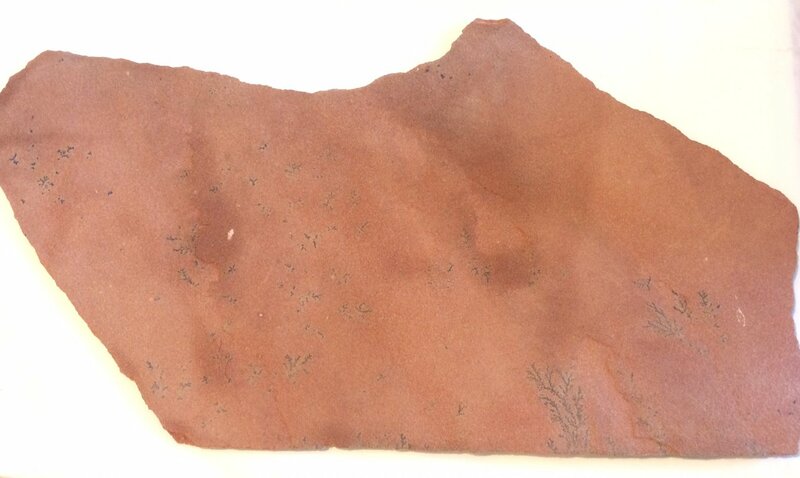 Not fossil, so it can't really be attributed to a certain age of deposit. Really lovely example of dendrites. Display case for that one! Thank you! I though so!